As in most recent years, Munich’s traditional summer Opera Festival in 2019 will offer an undeniable richness of six major performances within a compactseven-night period. Reflecting the variety of the repertoire and the superlative casting, our mid-July week promises to be the highlight of our summer offerings. In chronological order, the operas on our program will be Gluck’s rarely encountered classical ‘reform opera’, Alceste; Bedrich Smetana’s Czech lyric comedy, The Bartered Bride; Verdi’s towering Shakespearean tragedy, Otello; Giordano’s popular verismo vehicle, Andrea Chénier; and Puccini’s dramatic final work for the stage, Turandot. No less than three of these works will be staged in new productions – Alceste, The Bartered Bride, and Otello. Among the sensational casts are Jonas Kaufmann, Anja Harteros and Gerald Finley for ‘Otello’; Nina Stemme in the title role of ‘Turandot’; Dorothea Röschmann as Gluck’s tragic heroine: Stephano La Colla, Seljko Lucic and Harteros again as the protagonists of ‘Andrea Chénier’; and Christiane Kargand Pavol Breslik as Smetana’s young lovers. Augmenting the irresistible opera schedule will be the sold-out Recital by the glamorous Russian diva, Anna Netrebko. Her program will be concentrated in the rich song literature of Rachmaninov, Rimsky-Korsakov and Tchaikovsky. Munich’s Music Dirctor is now Kyrill Petrenko, who has also been announced as the next leader of the prestigious Berlin Philharmonic. The Russian maestro will be on the podium for the new ‘Otello’. 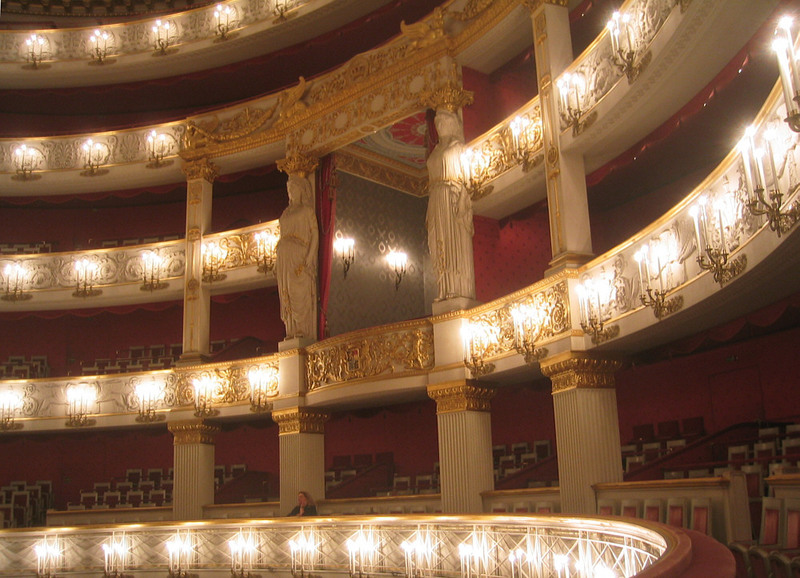 All of the operas, as well as the Netrebko Recital, will be performed in the National Theater, home of the Bavarian State Opera. Accommodations for seven nights at the deluxe Vier Jahreszeiten (‘Four Seasons’) Hotel, with a grand European buffet breakfast included. The Vier Jahreszeiten ranks as Munich’s finest, offering a wide variety of services in an old-fashioned Bavarian atmosphere. The hotel’s cuisine is renowned throughout Europe, and an indoor pool is situated on the penthouse floor with an open balcony for sunbathing. The ideal location is only two blocks from the opera house and a short walk from the central Marienplatz shopping area. For many reasons, the Vier Jahreszeiten remains everyone’s first choice in Munich.